Do you suspect that your engine is seized or want to know what to do if it’s seized? There could be a lot of different causes of a seized engine, and the repair costs can often be very high when it comes to these kinds of problems, but not always. I work as a technician, and I will give you my best tips on what to look for and what to do when your engine is seized. We will begin with the most common symptoms, and further down you will find more information. Your engine does click on the starter when you are trying to start it. You engine have bad noises, which can be a sign of a future seized engine. If you see any of the above signs, its best to get your car checked by a mechanic as early as possible to prevent potential damage that is irreversible, if a vehicle is driven even after these symptoms, the engine may fail entirely and may not be left in a condition to be repaired or reconditioned. In such case, a complete overhaul is necessary and one will need to pay for a replacement engine. If you experience that your car’s engine is reaching temperatures too high then it usually does, it may not be getting the proper cooling. That may be caused by insufficient coolant in the radiator or a coolant leak. That will lead to the gasket blowing up and causing the engine to leak oil as well. The engine in your car is the heart of it. Without it, your car is just a body on wheels and nothing else. Your car engine has thousands of parts in it varying in size, all working together to make your driving experience as smooth as possible. Since the basic principle of the working of the engine involves burning fuel, the engine itself produces lots of heat as it runs. Each component in the engine has a specific job which is critical for the correct operation of the engine. A single part is essential for other regions to work while also being dependent on other parts for it to work correctly. If even a single part inside fails, you may experience malfunctions of a different nature. In some cases, when a component fails, the engine can stop working altogether, causing some parts to either lock up or freeze. This is known as the engine seizing up. There are lots of different causes which may lead to an engine locking or seizing up. Sometimes, some of the internal parts deteriorate over time, causing them to fail eventually and lock the engine up, while other times, the overheating of the engine causes the pistons to expand, which leads to a restriction in the movement which can also lead to the engine stop working until it cools off. In some cases, the heat is so intense due to insufficient cooling, that some parts melt and weld together causing them to stick and fail. 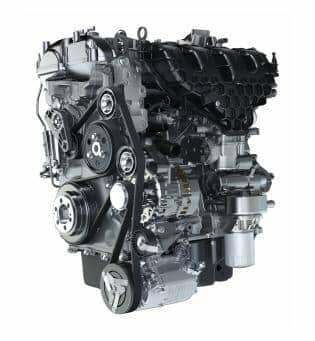 In some cases, when your engine seizes up, the damage is minimal and not that extensive, having the possibility of being repaired while in some cases, the damage is significant enough that repairs cannot be done on it, needing one to replace the while engine altogether. Depending on the nature of the problem, each type of repair cost may vary considerably. What factors could cause the engine to seize up? The engine relies on a mixture of air and fuel which is burned to produce power. Since burning is involved, the engine can provide a lot of heat over a short period and begin to accumulate it. The engine head is made up of iron which can hold heat pretty well, and for long periods and without the proper cooling, the temperature would cause the internal parts to expand causing them to stick as the parts in an engine are tightly fitted and sealed without any room for air or fuel to escape. An internal combustion engine relies on oil for lubrication which also helps to keep the internal moving parts cool as there is a lot of friction going on inside. If your engine is low on oil, it will cause the internal components to dry out and absorb heat and eventually cause them to fail. There are a few ways through which water can get inside the engine. One, if your engine isn’t properly sealed, during a car wash, water can get inside. The other way is a bit more familiar. Water can get mixed with fuel in the fuel tank and then travel to the engine through the fuel lines. Water cannot be compressed like air and gasoline which is why water will damage the valves inside the cylinder. As the piston moves up to compress the mixture with a little amount of water in it, the compression will cause the in and out valves to bend, causing a leak in the cylinder. This is called a Hydro-lock. With time, metals can catch rust. This is a problem common in old cars because of the age of the vehicles. Although it is uncommon for the internal moving parts inside the engine to get rusted, water that somehow may have gotten inside your engine can cause the components to rust because it isn’t usual for water to get inside unless there is a significant problem. Since there is a lot of friction going on inside the engine, rusted parts may grind and leave behind metal shavings, causing that to interfere with the operation. Although quite rare, it indeed is possible for a part working inside the engine to break off. That part may be a piston, the piston arm, or the valves. Any of these parts breaking off inside would get stuck at some place it shouldn’t be, locking up the engine. A broken component locking the engine comes second. The fact that it has broken off is a problem on its own. An overheating engine can cause the pistons to expand too much and then damage the cylinder walls. If this is the cause you have big problems and you can expect prohibitive repair costs. If the starter is seized with the solenoid stuck, it can grab the flywheel of the car, and it will feel like the engine is seized when you are trying to turn it with a wrench. 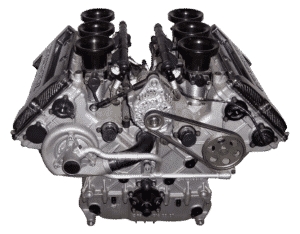 When the timing belt, timing chain or a camshaft have failed, the valves can hit the pistons and cause the engine to seize. To repair these failures you do often have to take the whole engine apart and it could result in expensive repair costs. If you get your car checked up before something significant happens, you may be in luck and may need to replace a few parts only such as the gasket if it has failed due to overheating. If there is a broken part, the expense of getting it fixed may be higher. Depending on your problem, a repair can range from $500 to $1500 and even more if the engine replacement is necessary. If there is a sign of water getting into your engine that can cost from $150 to $500 depending on your mechanic and car, nonetheless, repairing a seized engine is quite expensive which is why it is better to get your car checked routinely for any oddities. Here are a few steps to do when you think that your engine is seized up. Take a wrench with a socket and try to rotate the crankshaft to see if the engine is really seized and to make sure there is not a problem with your starter. If you can turn the crankshaft easily, it’s most likely a problem with your starter. If the engine is seized, go to the next step. Sometimes a seized up starter can cause the engine to get locked up. You want to remove the starter to make sure that it’s not that thing who is causing the problem. After you have removed the starter, check the crankshaft with the wrench again. The first step you should take when your engine is seized is to remove the serpentine belt. In some cases, the alternator, ac compressor or another part driven by that can cause the engine to lock up. If the engine gets released after you remove the serpentine belt, check all these parts. Often when the timing belt or chain have failed, you can expect the valves to hit the pistons which are causing the engine to seize up. Remove the covers in front and make sure there are no damages to the timing belt. If everything looks okay – You can remove the timing belt and rotate the camshaft if you know to put the timing belt back correctly. With this method, you can find out if it’s the crankshaft or the camshafts that are seized up. If the engine is seized up, it could be caused by a large amount of oil or water in one or several cylinders, and this is called a hydro-lock. You can release the spark plugs or the glow plugs to check this and make sure that there are oil or water in the cylinders. If the engine is turning over after you released the plugs, it’s most likely a hydro-lock, and you have to find the cause of the hydro-lock. This can often be caused by a failed turbocharger or a failed head gasket. If the crankshaft is seized up and you can’t find any signs of water or oil in the cylinders and if the camshafts are moving freely, you have to remove the oil pan and inspect the crankshaft bearings and any damages on the pistons or the rods. A seized engine does often result in expensive repair costs. By following these troubleshooting steps, you can find the problem fast and efficient. If you have any other questions that didn’t get answered by this article, you are welcome to comment down below, and I will answer your questions as fast as possible.